How should I dimension the heat exchanger so that the biogas system functions at an ambient temperature of 40°C and a medium temperature of 38°C? Our customer was commissioned to engineer a biogas plant in the Chinese hinterland. They knew that the plant would have to be fully functional the moment it was completed. Increased on-site personnel costs were not an issue but if the biogas plant was not operational immediately then there would be a problem. The main issue was that the area designated for the plant could experience temperatures of almost 40°C in summer yet the permissible temperature difference for cooling the bio elements is only 2 Kelvin. If cooling doesn’t function correctly, the microorganisms will die and the entire system will stop working. Our task was to optimize the heat exchanger in such a way that it would function efficiently despite the low temperature difference. Heat transfer at a temperature difference of only 2 kelvin is challenging. Additionally, we would have to deal with the non-continuous drive system operating at the plant. As a first step, it was important to clearly define the task so we analyzed the R & I flow chart as well as the planned mass and energy flows in detail. This resulted in a heat exchanger design with a pipe length of a few hundred meters just as the customer had foreseen. 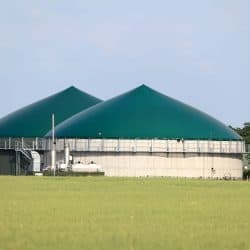 Therefore, we decided to take a step back to the drawing board and rethought the entire process control of the biogas plant from the ground up. Did the heat exchanger really need to be so large? Surely there was a more elegant method? With the help of a TRIZ process we developed a range of potential solutions to present to the client. We adopted some approaches from sewage treatment plants and others from classical process engineering. We identified the limiting factor – heat transfer occurring on the outer side of the pipes – and began intensively planning how we could improve it. The customer implemented the following solution: the geometry of the storage container was adjusted according to our specifications in order to attain a higher flow velocity. To achieve this, agitators were utilized to further improve the pipes’ external heat transfer rate. 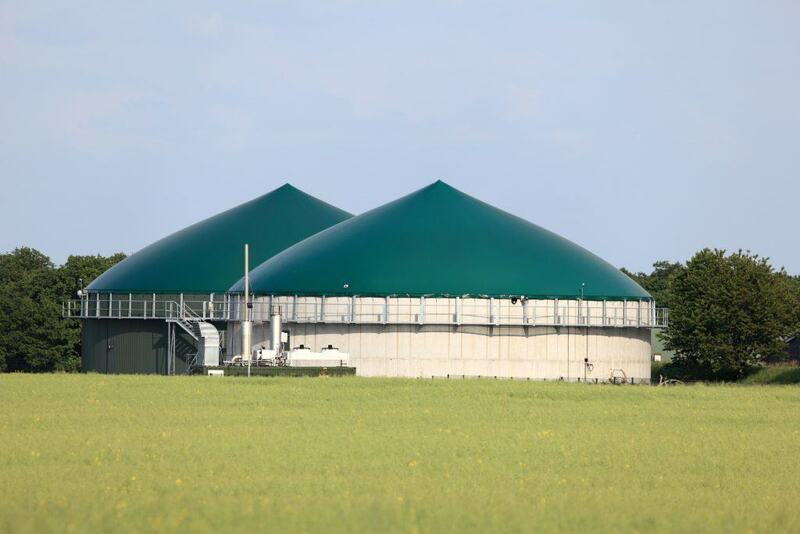 This not only saved the customer investment costs but also ensured that the biogas plant was guaranteed to function, even under harsh conditions.